Food Labels and Certifications: What Does it All Mean? The USDA Certified Organic logo has become an icon in our food society. After visiting a blossoming local coffee business in my hometown, and learning of their other certifications verifying growing practices, I began to investigate other certifications used on food in the United States. Many stamps of certifications have become staples in our food system, such as USDA Organic, but many are far less common, and often just as meaningful. There are two major organizations that grant certifications for organic goods: The United States Department of Agriculture, and Quality Assurance International. The USDA Organic certification holds standards to raw produce grown in the United States, and processed food that may contain these products. 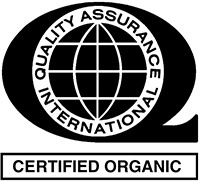 The QAI Organic certification is found on goods produced internationally, and certifies every step of food production, from the land on which the food is grown to the processing facilities. In addition to organic certification, other organizations around the world grant additional stamps to farming organizations recognizing their labor practices, or sustainability. The Fair Trade certification protects the workers producing the food to ensure that they are granted fair wages and working conditions. This certification is targeted towards good produced in developing countries. 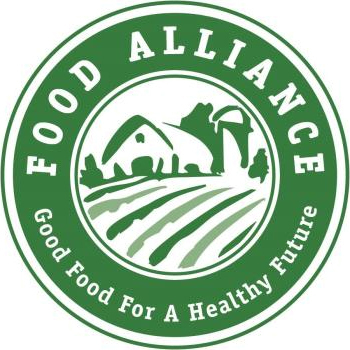 The Food Alliance certification recognizes farms using basic and “real” farming practices on both meat and produce, targeting farms growing/raising produce, meat, dairy, grains, legumes and oils with fair and safe working conditions. It also recognizes sustainable farming practices in terms of soil and water use, and the relationship of the operation with surrounding wildlife, along with the reduced use of pesticides and toxic chemicals. In addition, it recognizes humane living conditions for livestock raised without hormones or “non-theraputic” antibiotics, and not genetically modifying livestock or crops. How meaningful is the USDA Organic label, or any of these other labels? A number of farms around the country agree with organic farming practices, and abide by them, but do not have the resources to pay for the official inspection or certification. Many farmers will say that they are “organic in practice,” but do not feel the need or desire to be certified because they believe has very small worth. This reinforces the importance of the dialogue between farmers and they consumers in order to communicate all farming and production practices, certified or uncertified. Please continue to investigate the importance of certain labels and what they signify, but also keep in mind that a label may not always be present with equally deserving farms and food suppliers. This entry was posted in Food Transparency (the issues), Food Warrior Interns and tagged certified organic, charlotte steele, fair trade usa, food alliance, food certification, food warrior interns, new york city, Real Time Farms, USDA. Bookmark the permalink. 1 Response to Food Labels and Certifications: What Does it All Mean? 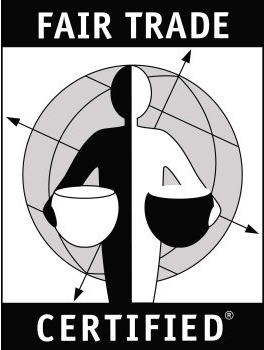 The symbol you will see will be the “Fair for life” image or the product will say certified Fair Trade by IMO. IMO certifies using the same standards as TransFair but also certifies and audits the importing company.